Hurry over to The Disney Store; you'll get free shipping on everything through 10/9/11 when you use Disneystore.com promo code FREESHIP! The Disney Store has an impressive selection of Halloween Costumes, plus you'll save 40% on adult costumes and up to 25% on select kid's costume items! This is likely the only time we'll see free shipping AND a sale on uber-authentic costumes from The Disney Store, so now might be your time to buy! There are plenty of other items on sale, check out everything The Disney Store has to offer! Oooh I love me some Disney Store deals. We live and breathe Disney here, so any excuse to bring in more Disney stuff is always welcome! I need to start my Christmas shopping. Thanks for sharing! 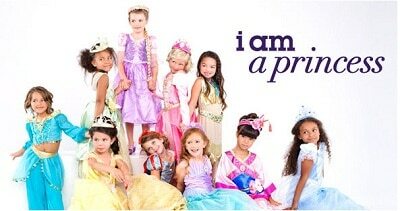 I need to get my girls’ dresses before we head to Disney in Dec.